Great post. I really enjoy the “history of technology” information. Thanks. Agree with John Fink - great post. Very interesting and relevant! You are so correct! I should have some extra sharpened blades for that very reason. Equally interesting, imho, is the resultant step: the thematization of form is based on the reach of the worker, which is determined by the tools at hand. The Assyrian carving thematizes broad generalized over-stated forms, covered in places with easily-read, mostly symbolic, ornamentation. Almost all the woodwork I see proudly displayed today features machine-like precision in joinery. We are thematizing an exactitude that is within our reach. It was not always so. Imho, it is now rare to see work that has any complete major form. 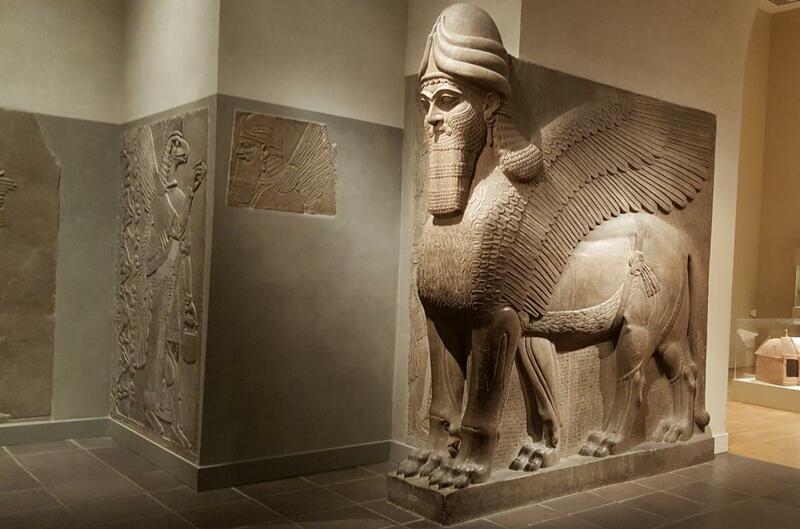 The Assyrian work speaks volumes; our work mostly accretes details and minor forms. I think one is better than the other; more importantly: the two needn't be exclusive. One of the most perplexing issues today's makers face is the vast mastery of materials, tools, and their use that is at their disposal. 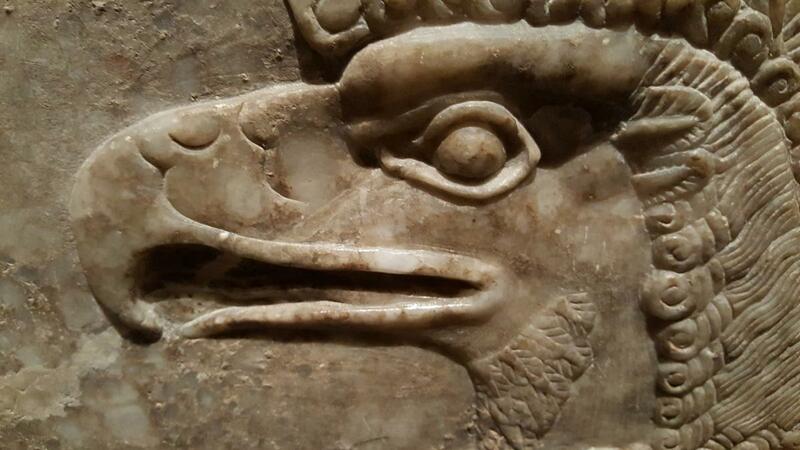 Assyrian makers woke up to a world in which forms cost a lot to make. We don't. Assyrian makers crafted a whole language based on simple forms overly-expressed and simply ornamented. It was the best they could do with their tools. Our challenge is more puzzling. Yes, great post. Great reminders. Great advice. Hi Joel, I always enjoy your blog posts. My own personal preference is to sharpen as my blade gets dull. I've tried sharpening a few spares to have handy, but I find that I actually enjoy the sharpening if I don't have to do it for very long, and I dread it if I have to spend very long at it. I also usually appreciate the break that sharpening offers. It only takes me about 2 or 3 minutes to sharpen my PMV11 #6 plane blade, which is the one that takes me the longest, and about 4 or 5 minutes from the time I stop to sharpen until I am working again. The change of pace works well for me. I've also tried sharpening every tool I've used at the end of each day, but that only lasted a few days before I gave it up. Now I just sharpen as needed, though I do have some spare handsaws, since they take a bit longer to touch up. Insightful post Joel, and it squares with the basic efficiency in joinery (well not just joinery I suppose) of grouping your work. Bamboo fly rod makers have long used (and mastered) the "spare blades" approach, which is necessary because bamboo is hard on plane irons and planing 18 strips for a typical two-piece rod with extra tip section, although tedious, is best done in a single session with few if any breaks from the routine. Also, as each of the six triangular strips per rod section approaches its final taper, planing has to be extremely precise and a single tear out will destroy the entire project. The plane of choice for this work is the Stanley 9 1/2 block plane, almost always with a Hock blade (some use the Lie-Nielsen equivalent which has been discontinued, and most rodmakers really haven't embraced the 60 1/2 low angle plane). 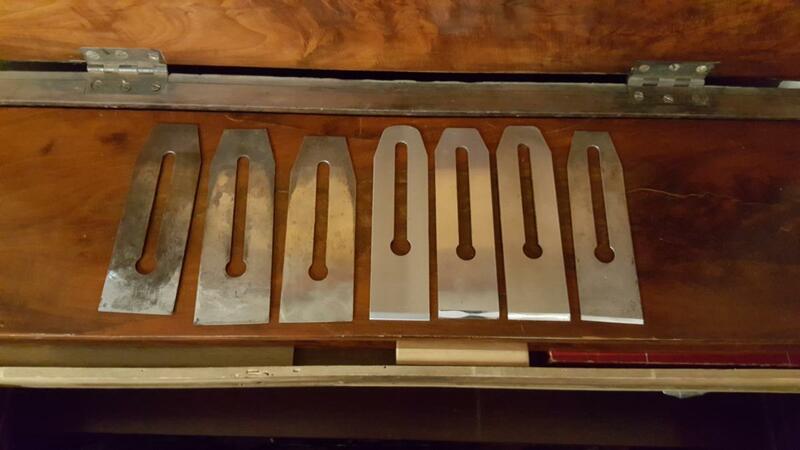 Most rodmakers own several identical Stanley planes with Hock blades, all sharpened and ready to go. The more planes you own, the steadier the work. Sharpening has also been reduced to a simple routine--many if not most rodmakers use the General Tools 809 "honing guide" which they set up with a stacked plywood "step" that guarantees the correct angle. They use a King KW65 two sided water stone (1000/6000 grit) and get an absolute razor edge with little effort. BTW, as the planing nears completion for each strip, it gets tricky and easy to overdo, so most makers reserve a special block plane and Lie Nielsen 212 scraper for that part of the operation--the "special" is that a lengthwise 1" wide x .003" "groove" has been milled into the plane and scraper soles so that the blade does not contact the steel planing form. Lie Nielsen offers its 60 1/2 block plane and 212 scraper with the optional rodmaker's groove, and many rodmakers have had the groove milled into the Stanley as well. Thank you for your article. I have embraced a similar approch in which I have an array of planes at the ready. I have two scrub/fore planes (one I made, the other a converted No 4) for the initial bulk wood removal. Then for general work I have two planes (No 5 and No 4-1/2) which do bulk of work. Then, I have a No 3 which does the last few smoothing storkes. As for sharpening, I have listened to and embraced the way Paul Sellers does it (though I use a jig for the proper angle). Thank you for a great idea, WHY DIDN'T I THINK OF THAT!!!! Pretty much sharpen my smoothers before every use. General use planes when needed. Chisels before each use. I made a power strop (leather)for my drill press and use the white compound. Unless edge is damaged, stropping is what I do. Can bring to razor sharpness in a matter of seconds, a minute or two at the most... KEEP THEM SHARP IS EASIER THAN GET THEM SHARP!